LITTLE EGG HARBOR – Some New Jersey homeowners are being ordered to repay tens of thousands of dollars in Sandy grant money after they accepted government-backed loans that the Federal Emergency Management Agency encouraged them to apply for, and a FEMA spokesman promises Kane In Your Corner the agency will work harder to ensure that homeowners understand the often-confusing rules. Fred and Marjorie Schaffer’s home in Little Egg Harbor was damaged so badly during Sandy that it could not be saved. Thanks in part to a $150,000 Reconstruction, Rehabilitation, Elevation and Mitigation (RREM) grant, they were able to move into a new modular home. When the work was finished, the state of New Jersey even listed the family as a “success story” on its Sandy Recovery website. But Fred Schaffer doesn’t feel like his story is much of a success. The state recently sent him a letter, on behalf of FEMA, demanding that he repay $115,000 of his RREM grant. Schaffer also accepted a loan from the Small Business Administration, which the federal government considers a “duplication of benefits.” The rules are intended to make sure homeowners only get the help they need and don’t profit from disaster relief, but Schaffer doesn’t understand why they apply to him. Sue Marticek with the Ocean County Long Term Recovery Group says she’s heard the same complaint from many homeowners. “Many don’t understand to this day how getting a loan from the SBA is considered a duplication of benefits,” she says. Some homeowners are also upset because they believed they were just doing what FEMA wanted. In the weeks after the storm, FEMA personnel around the state advised Sandy victims to fill out SBA loan applications. FEMA spokesman Bill MacDonald says the advice was good, since the applications also served as the first step in the grant process. He says, unfortunately, some homeowners were either not told or did not understand that if they actually accepted a loan, the proceeds would count against any future grant money. For Fred Schaffer, now having to repay $115,000 in grant money, that’s not much comfort. On Thursday, Kane In Your Corner takes a closer look at “duplication of benefit” rules and what a homeowner can do when a recoupment letter arrives. 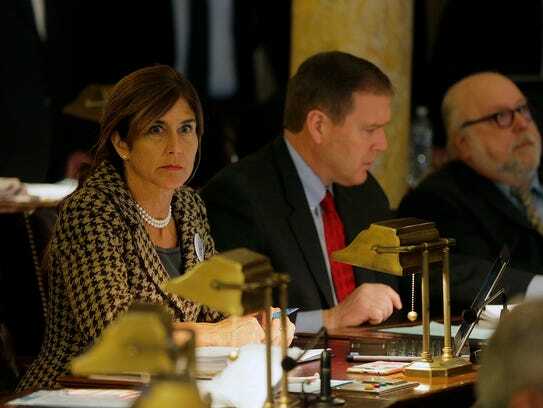 TRENTON — A bill that would protect Sandy victims for foreclosure is on Gov. Chris Christie’s desk after the measure was approved Tuesday by the state Senate. The bill, co-sponsored by state Senators Jennifer Beck, R-Monmouth, and Brian Stack, D-Hudson, had already passed the Assembly earlier this year. The bill would offer temporary foreclosure protection to Sandy victims who have been approved for assistance through the state’s Reconstruction, Rehabilitation, Elevation and Mitigation (RREM) and Low- and Moderate- Income (LMI) rebuilding programs, or those who have received rental assistance from FEMA as a result of property damaged caused by the storm. Sandy victims would have to apply to the state Department of Community Affairs for foreclosure protection. 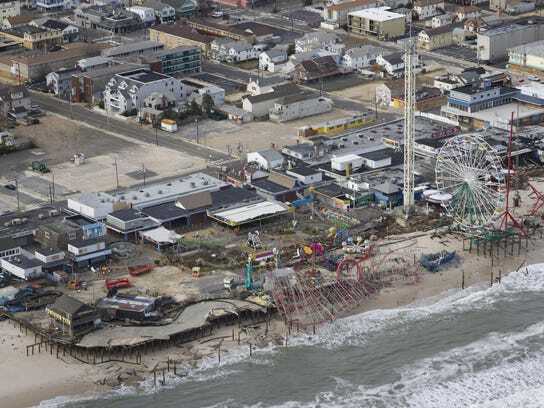 The bill has been praised by Sandy advocates, including the New Jersey Organizing Project, who say that the state’s hardest-hit areas have only partially recovered from the storm. Many homeowners are still struggling to rebuild, advocates say. The mortgage forbearance period would be either a year after a certificate of occupancy for recovery and rebuilding program work has been issued, or July 1, 2019, whichever is earlier. For properties in foreclosure, it would be 10 days after a sheriff’s sale. “The process of securing state and federal recovery funds is long and complex,” Beck said in a prepared statement. “It’s been four years and yet we still have 3,200 Sandy victims eager to complete elevation and construction projects, including some that have just begun. The legislation would also direct the DCA commissioner to notify Sandy-impacted families of their eligibility for foreclosure protections and post eligibility information on the department’s website. The commissioner must also notify courts and mortgage lenders of individuals who are eligible for such protections. The bill also contains protections for Sandy victims who have experienced delays in the RREM and LMI programs. DCA would be reqquired to extend the completion deadline for projects funded RREM and LMI for applicants who can demonstrate the delay was the fault of their builder or due to delays by the DCA in approving the builder doing the project, according to Assemblyman Eric Houghtaling, who sponsored the Assembly’s version of the legislation. Santa’s helpers traveled a long distance to make a special stop in Baton Rouge this weekend, though not from quite so far away as the North Pole. A New York-based nonprofit group created to help Superstorm Sandy flood victims in Long Island decided to play the Santa helper role for flood victims in Louisiana’s capital city this Christmas season. The group, Adopt a House, assisted by a social media networking group, Sandy Support Massapequa Style, co-hosted a Christmas party on Saturday for 50 Baton Rouge children, ranging from 2 to 12 years old, whose families had been affected by the flooding in August. The party, which took place at the LSU Hilltop Arboretum, featured holiday-themed crafts, face painting and, of course, a visit from Santa Claus. Adopt a House is dedicated to supporting the Long Island community in rebuilding in the aftermath of Hurricane Sandy, which tore through the east coast in late October of 2012. Sandy Support Massapequa Style is a Facebook group of close to 900 members that has worked with Adopt a House in co-hosting events like the one held Saturday in Baton Rouge. Insinga said the party grew out of the organization’s involvement with a Louisiana-based Facebook group called “Adopt a Louisiana Family For Christmas!” The group invites sponsors to connect with and donate to flood victims. Prior to hosting the party, Adopt a House connected with several families through the Facebook group and was able to send presents to 37 children. Beth Henry, an Adopt a House volunteer and creator of Sandy Support Massapequa Style, played a big role in organizing the party. She said Adopt a House knew early on that it wanted to provide support for the affected families during the holiday season, but had just a week-and-a-half notice from a donor that its members would have the opportunity to host a party. The pair said their favorite part of the day was seeing Santa pulling up to the party in a red Ferrari decorated with holiday wreaths and toting his iconic bag of gifts. A pair of elves decked out in red and white striped tights and colorful hats sang classic Christmas songs like “Santa Claus Is Coming to To Town” and “Jingle Bells” as they ushered the children to gather around Santa’s chair, where their gifts had been laid out. One by one Santa called the kids up to receive a Christmas present, which had been individually purchased for them by the Adopt a House volunteers based on their Christmas lists. The gifts included sets of blocks and kits filled with markers and other art supplies. Insinga said one of the main goals in throwing the party was to take the children out of their difficult situations for a day, giving them a chance to experience the holiday season even though their families might be dealing with serious financial burdens. OCEAN COUNTY, N.J. (CBS) — A New Jersey man is facing charges for scamming individuals who had their homes damaged during Superstorm Sandy. Charges against Jamie Lawson, 41, were announced on Friday. Ocean County Prosecutor Joseph D. Coronato announced that a grand jury indicted Lawson, the owner of Lawson Renovations, L.L.C., DBA J&N Construction. Authorities say Lawson took payment from 14 homeowners in Toms River and Brick Township and either did none of the work promised, or less than what was agreed to. They add that the money went toward vehicles and Lawson’s personal expenses. The Ocean County Prosecutor’s Office added that Lawson became a licensed home improvement contractor when he moved to New Jersey shortly after Superstorm Sandy hit. They say that Lawson obtained the license after misrepresenting himself on his application by failing to disclose criminal convictions in North Carolina, South Carolina and Texas. Lawson has been charged with money laundering, theft by failure to make required disposition, tampering with public records and related charges. New Jersey and federal agencies have announced a joint study to examine ways to combat flooding on the state’s back bays, which were where some of the worst flooding happened four years when Superstorm Sandy barreled into the shore. The pain continues for many communities that were pummeled by the historic storm. Shore towns have watched as government agencies rushed to build sand dunes along beaches but failed to construct similar flood protection measures along the bay shores, in the areas between the mainland and barrier islands. To many communities, the announced study by the state Department of Environmental Protection and U.S. Army Corps of Engineers is welcome — if years too late. The New Jersey Back Bays Study actually started in April after spinning off of a larger study of the entire North Atlantic Coast, which the Corps of Engineers began a year and a half after Sandy, said J. Bailey Smith, the project manager who will oversee the back bay study. DEP and Corps of Engineers will first analyze the physical features of the coast and compile flood probability data before identifying possible flood protection measures. Those measures fall into four broad categories: changes to regional policies and the creation of new programs, structural measures such as bulkheads and levees, non-structural measures like buyouts and flood warning systems, and nature-based methods like reefs. The study is expected to last three years and likely would not result in the construction of any new projects before its completion, officials said. “This is a more complex issue and problem to address than, say, beach erosion. And it took a very long time to get where we are with beach erosion,” said Bill Dixon, the DEP’s director of coastal engineering. “I see different methods being used in different areas” for the back bay study, he said. Nonetheless, the Corps of Engineers’ Bailey said that does not mean that the state’s bay shores will remain completely vulnerable to flooding in the short term. “We have a lot of similar, smaller projects that are ongoing and may be constructed in the next three to five years,” said Bailey. The study will encompass 3,500 miles of bay shoreline in Burlington, Ocean, Atlantic, Cape May, and Monmouth Counties. For Lacey Township resident Pat Doyle, back bay flooding is old hat. She welcomed the announcement but said the problem of bay flooding was nothing novel to residents who regularly cope with encroaching waters. Others in the audience during a public meeting Thursday night at Stockton University argued that the long delay in starting the three-year study will now be followed by another delay in starting construction on the flood protection projects recommended by the study. Dixon, with DEP, said it would have been difficult for the state to embark on such an undertaking on its own. DEP and Corps of Engineers are splitting the costs of the back bay study. He also claimed that authorities have not been ignoring the needs of back bay communities by largely focusing on flood protection projects on the oceanfront beaches. The reason for that, according to Dixon, was because the state identified oceanfront flooding as a major problem long before it realized back bay flooding also required attention. Dixon also said the state was actively trying to minimize the effect of bay shore flooding by, for example, buying out residents living on the Delaware and Raritan Bays through the Green Acres program. Kasimos, the Toms River homeowner who also founded the group Stop FEMA Now after Sandy, said the announcement was another in a long line of government failures on this issue. “If there were lobbyists in here and there were big funders in here, this would’ve gotten done already,” said Kasimos. For years, the conflicting goals of protecting the environment and some of the New Jersey shore’s priciest real estate from storms have bedeviled a body of water known as Wreck Pond. Storms sometimes open a channel between the 48-acre tidal pond and the ocean, but governments keep sealing it shut to protect homes from flooding. The result has been poor water quality and much narrower access to the ocean that hurts fish that travel from ocean to pond to breed. But a program that sprang from resiliency planning after Superstorm Sandy is addressing both problems at once. The main phase of the work has been completed, consisting of a concrete culvert between the pond and the ocean to make it easier for fish, including herring, to reach the sea. This concrete culvert extends out into the ocean in Spring Lake, N.J. The project, which was completed the week of Nov. 21, helps fish get to the ocean from Wreck Pond, and return there to spawn. It is also designed to alleviate flooding in he area and reduce beach closings due to bacteria from the pond, which will now be flushed with more tidal water. The inlet at Wreck Pond has come and gone over the decades. Its very name came from shipwrecks that used to occur when the inlet was open in the 1800s; the Sea Girt lighthouse was built to illuminate it. In the 1600s, Lenape Indians came to the inlet for bathing rituals and clam feasts. Records from the 1920s show the inlet still open, but fairly shallow and often clogged with sand. In May 1938, Wreck Pond was dammed off from the ocean in the name of protecting the oceanfront communities on either side of it from flood damage from surging ocean waters. Two weeks later, the ocean broke through, and the first of many years of repair and maintenance work ensued. Most recently, Sandy re-opened it in 2012, but drifting sand naturally reclosed it within two weeks, and government crews reinforced it as part of a beach replenishment project. But in reducing the danger of one type of flooding — ocean waves surging into the pond — dams inadvertently raised the risk of a different type of flooding, from heavy rainfall that swells the pond beyond its banks. The tunnel will give that water someplace to go. In addition to letting fish in and out more easily, the culvert can be opened or closed as needed during storms to control flooding. It’s akin to an express lane for fish, but people will benefit, too. The project enables officials to better control water levels in the pond during storms, and dramatically improves water quality by flushing it regularly with infusions of ocean water, preventing bacteria and algae blooms from choking it. And it should reduce, if not eliminate altogether, the frequent ocean beach closings that result when even a small amount of rain falls, sending harmful bacteria into the ocean. The work is part of $7.4 million worth of work in and around the pond, financed by federal, state, county and local governments. The Littoral Society has been monitoring fish traffic and is pleased to see large volumes of river herring and other species using it to get to and from the pond. TOMS RIVER — A nearly $1.5 million grant from the Robin Hood Foundation will allow a Sandy advocacy group to continue helping storm victims through 2017. The long-term recovery group, an umbrella organization of about 80 nonprofits, will receive $1.485 million from the Robin Hood Foundation, $25,000 from the Ocean First Foundation, and $50,000 from the Community Foundation of New Jersey. Homeowners frequently find that they are short several thousand dollars at the end of the rebuilding process. The new influx of funds will help the group provide about $1 million to help homeowners get back home by bridging the funding gaps that frequently exist between the amount of grant and insurance monies a Sandy victim receives, and the actual amount of money they need to move back into their house. A non-profit builders group that has also been assisting homeowners here will receive $1.45 million from the Robin Hood Foundation, Marticek said. “Because of the efforts of the nonprofits, we have over $2 million extra to give out in 2017,” Marticek said. The Ocean County group has also held a series of free workshops to help answer homeowners’ questions about the state’s signature recovery program for homeowners, the Reconstruction, Rehabilitation, Elevation and Mitigation (RREM) program. As the only long-term recovery group still operating in New Jersey, the Ocean County group also hosted workshops throughout the state to assist homeowners interested in reopening their flood insurance claims. Story continues below the photo. The long-term recovery group has distributed more than $6 million to help Sandy victims since it was formed in the aftermath of the 2012 storm, and has assisted more than 2,300 Ocean County families. Ocean County had the most Sandy damage in the state: more than 40,000 homes and businesses were damaged or destroyed by the storm.